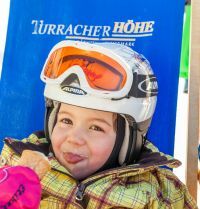 Turracher Höhe always has the edge in providing exceptional service features: the popular Slope Butler has been indulging visitors with complimentary treats for as long as 16 years. 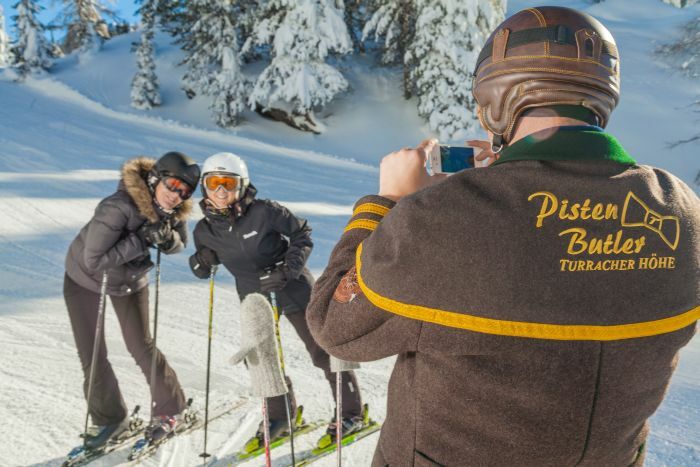 Starting next winter season, visitors can look forward to extended Slope Butler features including the option to rent the ministering angel exclusively for a highly.personalized winter day, company party or any other unique occasion taking place at Turracher Höhe. 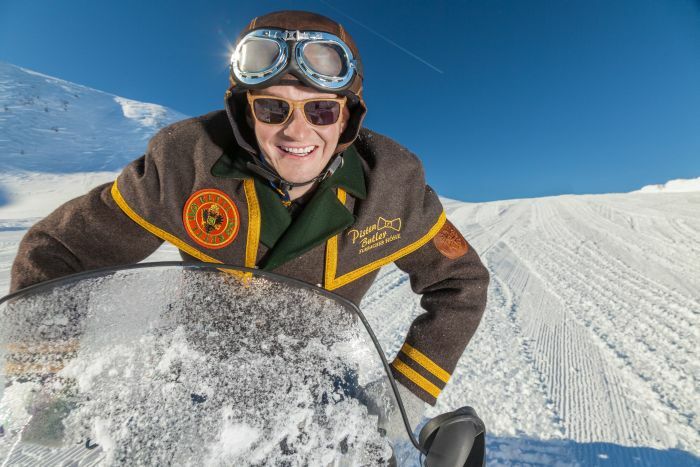 Cruising the area daily to be at the guests’ service, the Slope Butler knows the terrain inside out, is familiar with procedures and peculiarities and helps skiers with tips and advice. In the morning, he starts his “butler mobile” and heads out onto the slopes. There he makes stops at different spots and puts up a service bar in no time to provide tired and snuffy ski heroes with dextrose and hankies, treat kids with sweets and raspberry juice and even serve their parents a glass of Prosecco sparkling wine if they wish. Our guests receive the extra bonus of a highly.personalized butler service as well as an attractive inclusive program. Do you want to start your holidays with an exclusive culinary safari, a full moon tour, night tobogganing or the ‚Morning Trilogy‘? For the upcoming winter season, the Slope Butler has also come up with a special kid’s program focusing on adventure and fun in the snow ensuring entertaining times for the little ones.